Today, we have on the market a significant number of watches and bracelets connected that allow us to have a lot of information when we walk daily. But to acquire one of these small devices is to agree to pay the price. It is difficult to find a complete connected bracelet for less than a hundred euros. Fortunately, you don't necessarily need these objects to know everything about your physical fitness. Indeed, your smartphone is full of sensors that can record all your movements during the day without your attention. 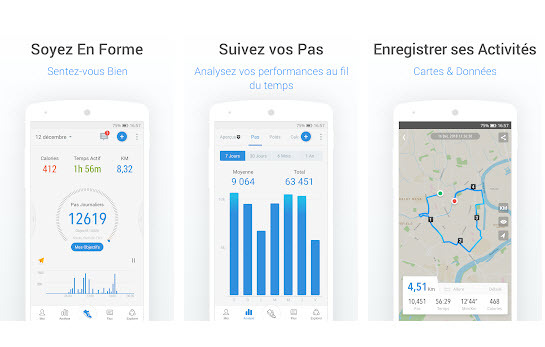 So here are some pedometer-type applications that will allow you to know if you are moving enough without having to invest in a connected bracelet. Behind this very direct name is actually a complete and easy to use application. Podometer and Weight Loss offers you to follow your daily physical activity (walking, running...) but also allows you to coach yourself for your weight loss. All you have to do is enter information such as your height and weight to get your body mass index and have a graph that lists your efforts. Pedometer and Weight Loss also offers a social dimension to compare your results with those of your friends. Walking with MapMyWalk is another pedometer application with an additional component. Indeed, Walk with MapMyWalk creates a route of your trips. Over the course of a day, you can get an overview of your journeys directly on a map. 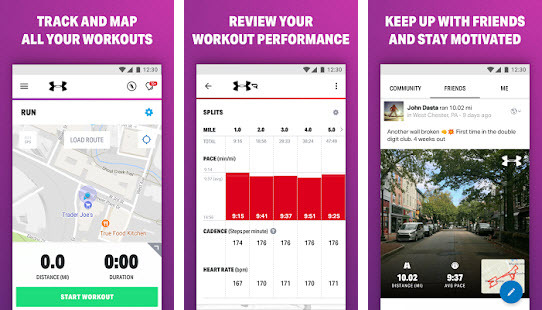 The application is very practical if you run because you can track your progress, know the number of calories lost or the distance covered. On the other hand, since Walking with MapMyWalk requires the GPS chip on your smartphone all the time, the battery may decrease much faster than usual. 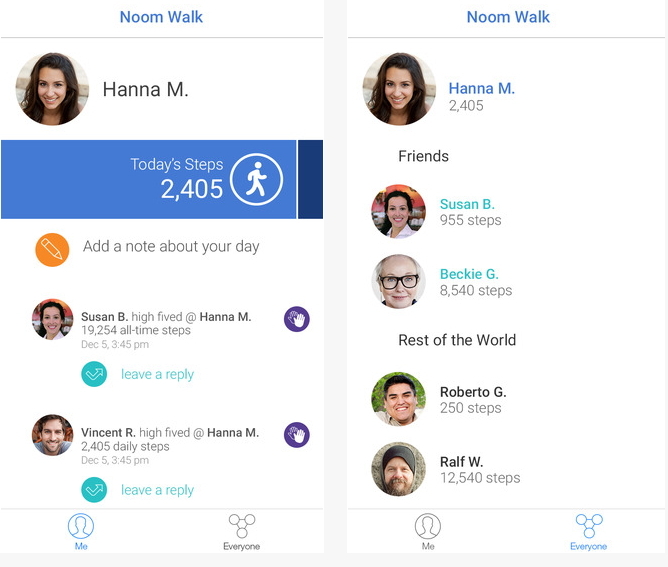 Noom Walk Pedometer is a classic pedometer application. And it has a significant advantage because it consumes very little battery power. Indeed, it only uses the sensors that are normally used by your phone to count your steps. The interface of the application is very simple: you can create a profile and find your friends' profiles using Facebook or Google +. Now all you have to do is encourage your friends to walk even more! Google Fit is Google's application that integrates with many Android smartphones. Natively, it uses the phone's sensors to record your steps on a daily basis, a bit like Health on iOS. Many applications are able to transfer their data to Google Fit to make it a real sports data centre. Google Fit also works with Android Wear devices to retrieve information from them. Another very practical application, ActivitTracker Pedometer calculates in the background all the trips you make to count the number of steps, kilometres covered or the number of calories lost. Here, there is no use of GPS, which makes the application very energy efficient since it only recovers data from sensors that are already in operation. 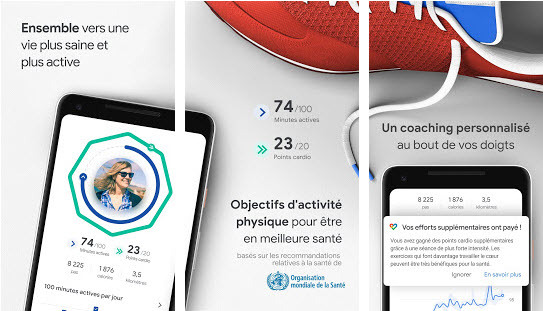 In the end, the user can choose a step-by-step goal, see his activity of the week and share his data with his friends. The interface of the software is rather pleasant, although it is regrettable that the service is only available in English. 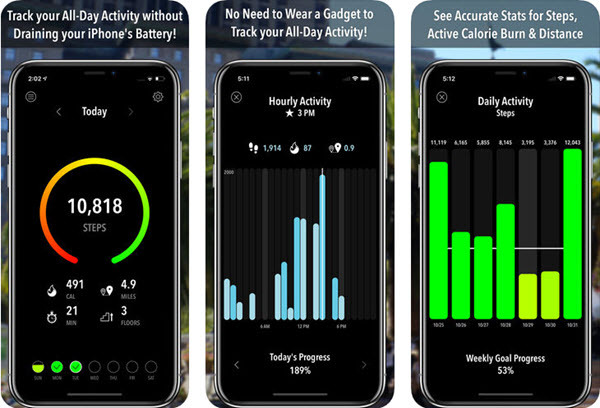 ActivityTracker Pedometer is a free application but some features are only available after you have made a purchase within the application. What we like about Accupedo is its reliability. This application is one of the most accurate we have ever tested. The in-house algorithm is particularly effective in tracking your daily movements and displaying the results in a refined but very pleasant interface. 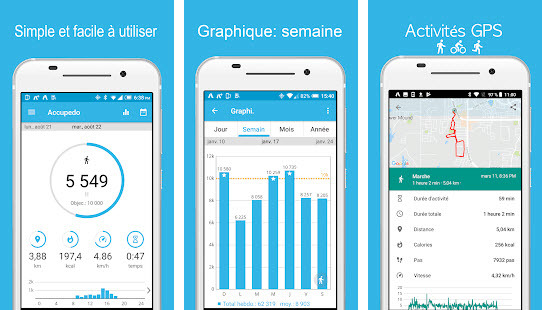 You can set a goal and see how your day progresses in graphs and even share data with other applications. Its only flaw is that it does not offer French translation. Leave a comment for	the article Counting your steps without a connected bracelet is possible!